Chalk it up to growing pains, but everyone has embarrassing photos. Some people's are just more embarrassing than others. 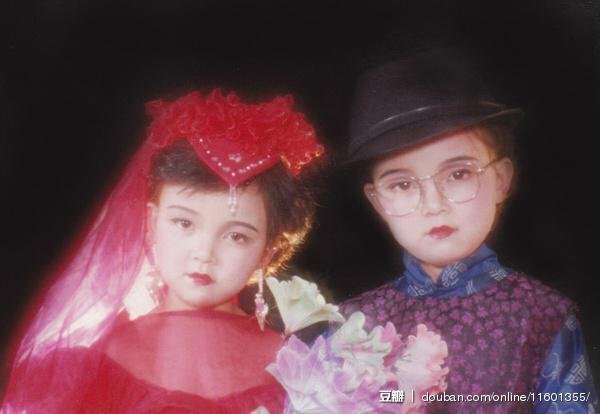 Here's a proud look at some of China's delightfully awkward childhood photos. 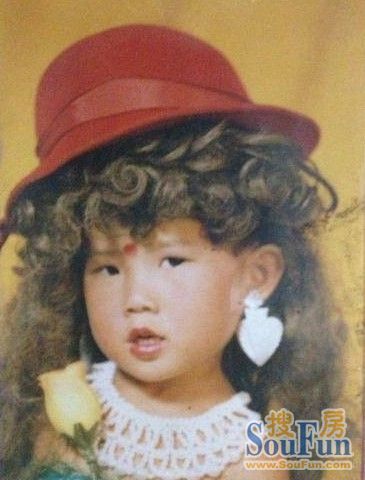 Recently on Chinese micro-blog Sina Weibo, people have been uploading their most painful pics, using a tag which translates in English as, "showing off some embarrassing photos of our childhood." This is awkward photo pride, and people are amusing each other with their painful pics! 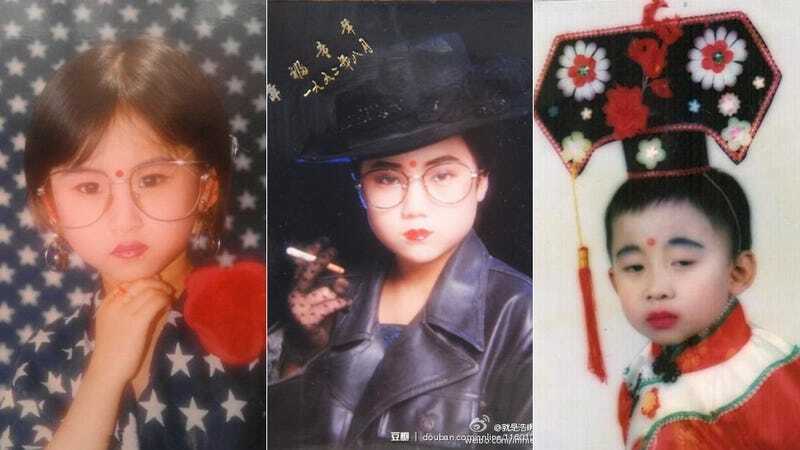 The photos are from the 1980s and 1990s, and show kids dressed up in too much make-up and wearing adult clothes (think China's take on Glamour Shots). Snapshots aside, the studio pics look to be for festivals, marking special occasions, or simply for fun. Some parents dressed their kids in outfits reminiscent of Chinese classics like Journey to the West and Legend of the White Snake. Others dress their kids as Red Army troops or as miniature adults. I feel like watching Full House for some reason. Embarrassing? No, no. This is wonderful. Shine on, kiddo, shine on. I often have days like this. The key motif is ONE GIANT EARRING. You're never too young to smoke. Or smoke and join the military. I don't think this kid is wearing enough make up. And this kid isn't wearing enough sweaters. I'm sure this was a good idea at the time. Aw, this is too cute! Needs more embarrassing! There we go. Thanks, comrades. This isn't a wig. It's 80s hair. This might be a wig. Online in China, the awkward photos have been causing amusement, and Chinese state controlled media, like XinhuaNet, have covered the trend as well as sites like Tech in Asia.